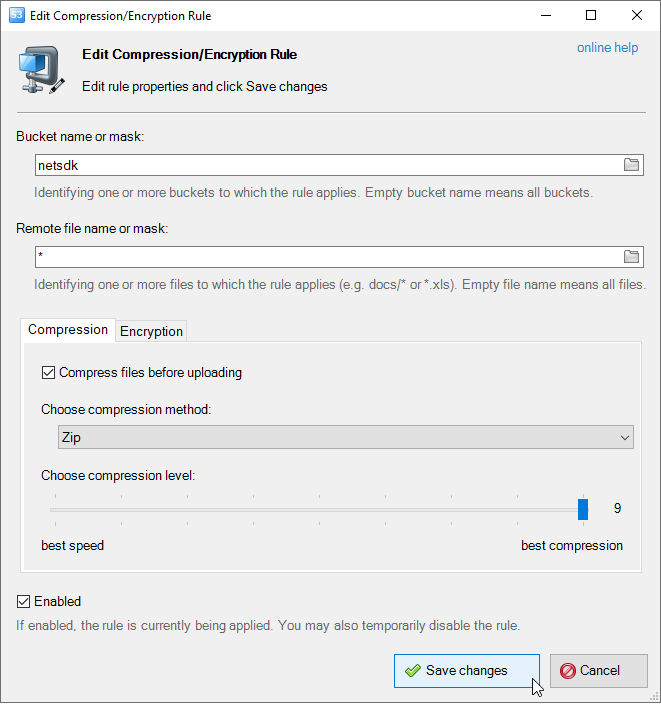 Configuring Compression and Encryption Rules. How to compress and encrypt files before uploading them to Amazon S3. Configuring Compression and Encryption. How to comress/encrypt files before uploading. New version of S3 Browser allows you to automatically compress and encrypt files before uploading them to Amazon S3. It uses the ZIP format for data compression and AES 256 symmetric algorithm for data encryption, allowing you to decompress/decrypt files using any modern archive manager. GZip compression is also supported for cases when you need to distribute files over the Internet. You can also decompress and decrypt files automatically when downloading them using S3 Browser. If password is not found on the local computer, you will be asked to enter it before downloading the file(s). 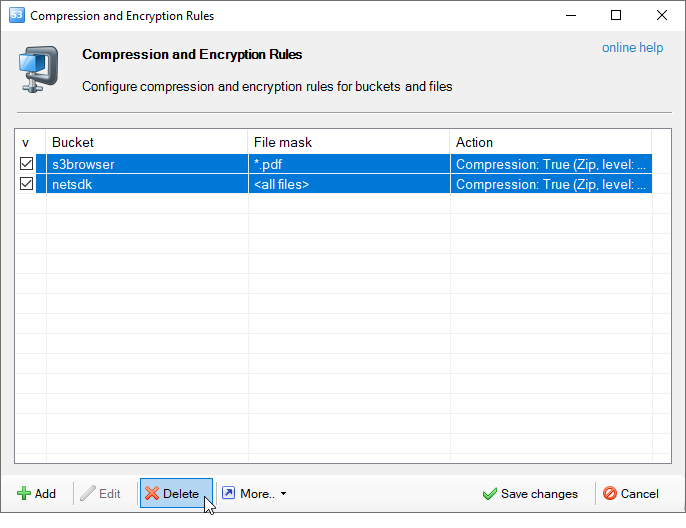 Compression and encryption can be easily configured using flexibe set of rules. You can configure rules on bucket, folder or file level. 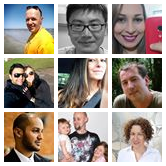 Below you will find detailed description of compression and encryption rules. Bucket name or mask: - Identifying one or more buckets to which the rule applies. Empty bucket name means all buckets. Remote file name or mask: - Identifying one or more files to which the rule applies (e.g. docs/* or *.xls). Empty file name means all files. Check Compress files before uploading checkbox to compress files before uploading them to Amazon S3. You can also specify Compression level. Better compression takes more time and CPU/memory, lower compression is faster and requires less resources. Avoid enabling compression for already compressed files such as jpg, gif, png images, compressed video files, archives (zip, rar, 7z, etc.). Be also careful when enabling compression for very large files, this may take a lot of time and CPU resources. Check Encrypt files before uploading checkbox and specify Encryption password if you would like to encrypt files before uploading them to Amazon S3. Compression/Encryption rules are stored in plain form, so you may want to delete them when upload is finished. You can also temporarily enable/disable the rule using corresponding check-box. When you download compressed/encrypted file(s) using S3 Browser, it decompresses it automatically after downloading is finished. 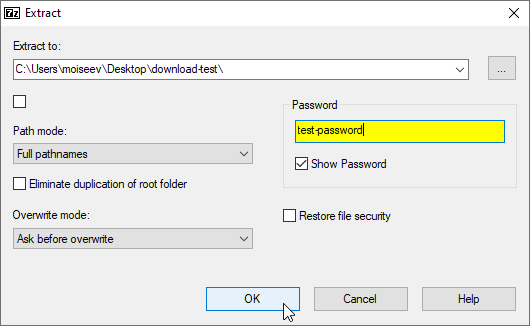 If file is encrypted, S3 Browser looks into compression/encryption rules and if corresponding encryption rule is found, the password is taken from the rule to decrypt the file. If no matching rule is found, you will be asked to enter decryption password. 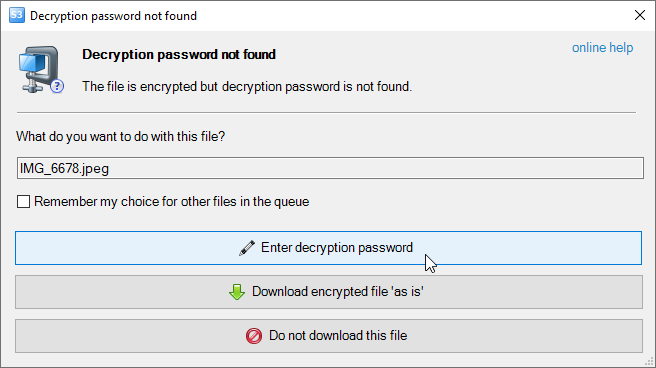 Download encrypted file 'as is' - decryption is not performed, the file is downloaded in encrypted form. You can also check the Remember my choice for other files in the queue checkbox to apply your choice for other files in the queue. Do not decrypted this file - decryption is skipped, the file is downloaded in encrypted form. 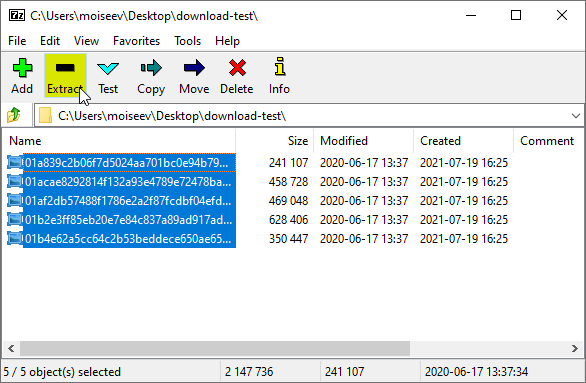 If you downloaded compressed/encrypted files via other tools, or via old version of S3 Browser, you can still decompress/decrypt them using any modern archive manager.